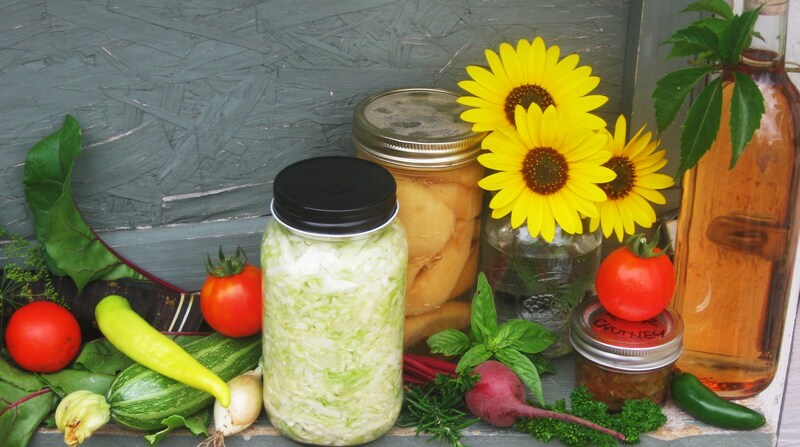 Our mission at Homesteading Downsized is to live a more sustainable, independent lifestyle. What if you could make your own household cleaning solutions? 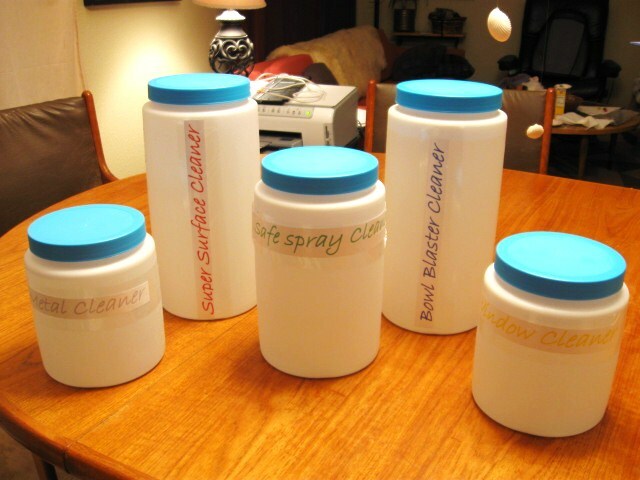 A family can easily spend $100 – $500+ annually on store-bought cleaning products. Take another baby step to life’s independence by making your own household cleaning products and save money. Be sure to label your containers with pride and reuse recycled packaging. Here are four of our favorite cleaning product recipes. Most of the ingredients are probably already in your cupboards – if not, find them at your grocery store. Disinfectant Surface Cleaner – This disinfectant surface cleaner is great for bathrooms & Kitchens. Mix in a 5 gallon bucket. Divide into buckets for floors & walls or in a spray bottle for surface cleaning. Ingredients: ½ cup baking soda, Juice of 1 lemon, 1 cup white vinegar, 5 gallon bucket water. Mix well. All Purpose Safe Spray Cleaner – Safe for butcher /chopping blocks, granite, marble, wood counter tops, &, brass, copper, gold, silver, stainless items. Ingredients: 31 ounces water to 1 ounce Ivory Liquid Dish Soap (leaves no residue). Mix water and Ivory Liquid thoroughly in a spray bottle. Spray on any surface and wipe. Be sure to label container. Copper and Brass Cleaner – A chore made easy with this recipe! Simply spray solution on material, let stand a few minutes and rub clean. Ingredients: 3 tablespoons salt, 1 pint vinegar. Fill a spray bottle with vinegar and add salt. Be sure to label container. Easy Toilet Bowl Cleaner – So simple! Pour one cup mixture in the toilet bowl. Swirl with a brush. Let it sit 10 minutes, swirl and flush. Ingredients: Add 1 cup bleach to 10 cups water. Pour bleach and water into a clean gallon size plastic jug. Be sure to label container. Take another baby step, give yourself an annual raise by making your own cleaning products – Make money every time you clean!